From Whymper Saddle follow the Main Divide firstly on snow then rock to the Low Peak. The vague feature on the left side of the peak seen from Murchison Hut. Take the central gully and then enjoy ice on rock. From Classen Saddle climb snow slopes to arrive high on the Main Divide north of the summit, then continue to the summit. 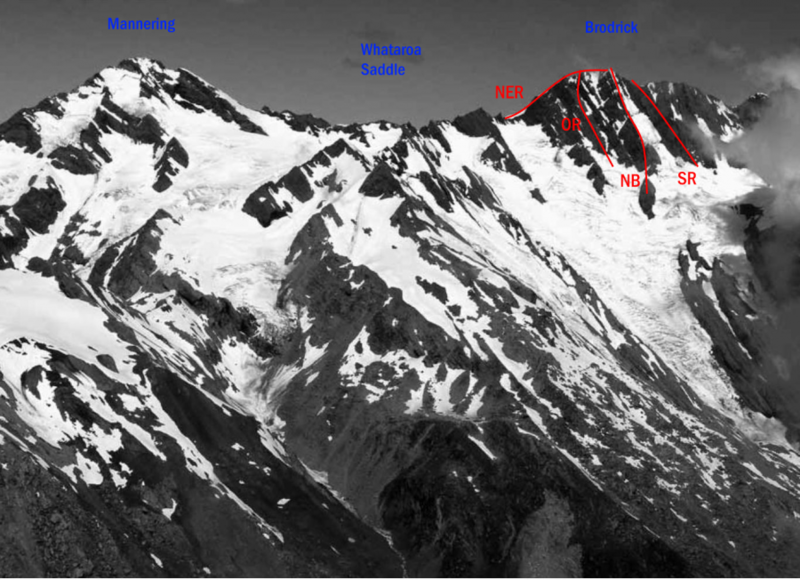 From Classen Saddle traverse to the vicinity of Whataroa Saddle, then up south-eastern snow slopes (or rock depending on conditions) and then traverse the Main Divide to the summit. From Whataroa Saddle follow the rock and snow ridge of the Main Divide. Alternatively, turn to the western side and climb snow slopes that lead to a point north-east of the summit.